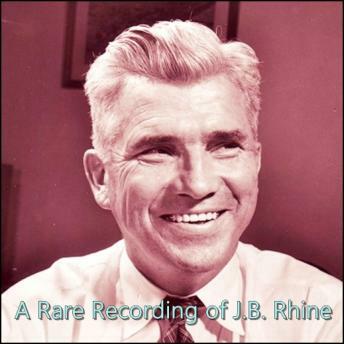 J.B. Rhine (1895 - 1980), widely considered to be the "Father of Modern Parapsychology," was the world’s leading investigator of psychic phenomena, ESP and the paranormal. He founded the parapsychology research lab at Duke University and the Journal of Parapsychology. Dr. Rhine, who coined the term "extrasensory perception" (ESP) to describe the apparent ability of some people to acquire information without the use of the known five senses), wrote several books on ESP and the paranormal. Rhine investigated ghosts, telepathy, poltergeists, and other unseen parapsychology phenomena from 1927 to 1965 at his Duke laboratory, and for several years after that at a private laboratory. The following was recorded from a Rhine lecture on psychokinesis and his ESP experiments.